Alden R. Carter (Born April 7, 1947) is an American writer primarily known for his young adult novels, stories, and non-fiction. His works have won numerous awards including six American Library Association Best Book awards. In 2002 Carter was named to Wisconsin Library Association's list "Notable Wisconsin Authors" placing him among the finest writers in the state. Aside from his YA work Carter has written a novel on the Civil War, Bright Starry Banner, has published several works of adult non-fiction, and also has given over six hundred presentations to schools and conferences. 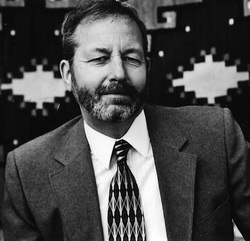 Carter was named to the Wisconsin Library Association's list "Notable Wisconsin Authors" in 2002 and his novel Up Country was selected in March 1994 for the ALA list The Best of the Best: the 100 Best Young Adult. Other novels, Sheila's Dying, Growing Season, Up Country, Between a Rock and a Hard Place, Bull Catcher, and Wart, Son of Toadwere named American Library Association Best Books for Young Adults. His Civil War novel, Bright Starry Banner, combining an epic sized cast from every level of the military with vivid narration won the John Esten Cooke Fiction Award from the Military Order of the Stars & Bars. Carter's twenty non-fiction books for children cover a wide range of topics, including electronics, military history, the People's Republic of China, and Shoshoni Indians. He has also written seven highly praised children's picture books for and about children facing medical challenges. His daughter Siri collaborated on I'm Tougher than Asthma. Carol, a graduate of the Montana School of Photography, shot the photographs for several of the picture books, including Stretching Ourselves: Kids with Cerebral Palsy and I'm Tougher than Diabetes.